A fundamental genre convention of cinematic science fiction is the explicit necessity to suspend disbelief whilst watching in order to enjoy the openly speculative narrative. This suspension of disbelief is a critical faculty that you willingly remove as you watch in order to learn something about a set of greater themes such as humans vs. technology, history & politics, or collective crisis management. 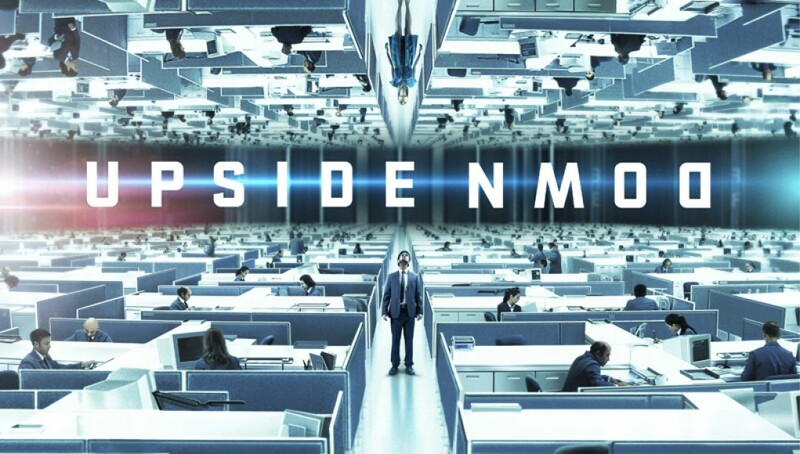 The difference between an enjoyable and an unsatisfying sci-fi in hindsight can often be found in how much the audience can plausibly forgive before feeling frustration at a central premise or plot device. 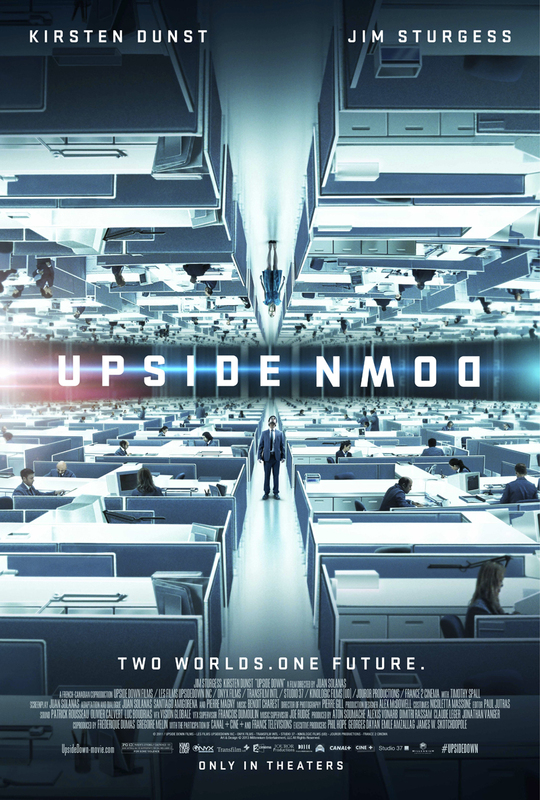 This being said, Upside Down has a great sci-fi premise but with a number of huge flaws—the individual enjoyment of the film will depend on how willing a viewer is to ignoring those flaws. The plot revolves around a couple of teenagers who live in a solar system that has a pair of planets that revolve around each other at a very close proximity: Adam (Jim Sturgess) lives on one planet with its own gravitational field, and Eden (Kirsten Dunst) lives on the other with a separate (yet perfectly equal) gravitational pull. When something from one world is sent to the other it retains its own gravitational force, and therefore, when people interact with it from the wrong planet, the item has exact opposite gravity working on it. Eden lives on the ‘upper’ world, where everyone is rich and happy, and Adam lives ‘down below’, where everyone lives in poverty. The only structure that links the two worlds is a corporate skyscraper/space elevator that controls the flow of energy between the two worlds—and therefore creating the economic inequality. The final conceit that must be accepted in order for the narrative to work is that if an item from one world spends too much time in the other, it begins to emit a huge amount of heat and becomes unstable. The redeeming element of the viewing experience is the cinematography and visual effects. The cities that are created for the characters to interact with (depending on their planetary gravitational pull) are beautiful. The frequent visual joke of having a room with characters interacting on both floor and ceiling is used to great effect throughout the middle of the film and due to this there are sections where the art direction feels very video-gamey as the protagonists leap from wall to wall being chased by people of opposing gravities. The main aesthetic symbol that is notable throughout the film in the visuals is that of the modern skyscraper/city space. A final wide-angle shot that pans back to reveal a double city is a proud celebration of large-scale international style architecture. This reveals something about the implied political future of ‘down below’ as it displays a proud ideological landscape of what utopia would finally look like. If you navigate the clichés of the plot, then you are rewarded with a postmodern fantasyland that once more reinforces the idolization of wealth in a time of austerity.